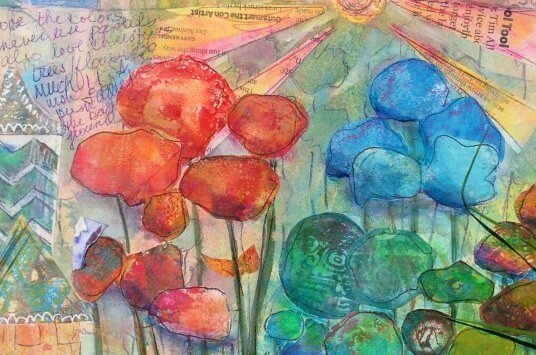 Have you tried Gelli printing? I think many if not all of us have. It is so fun and I often get carried away making my prints. I am so addicted. Books, canvas covers, collage, everywhere! I use them in most of my art. Check out Gelli Arts for videos and lots of great stuff. And stencils? Oh boy do I love and use them. I am a member of Stencil Girl Club they have wonderful stencils, videos and fabulous artists. Another thing I am addicted to. I will be talking more abouts stencils and companies going forward but wanted to start here. Check out all the wonderful stencils they have. So fun.